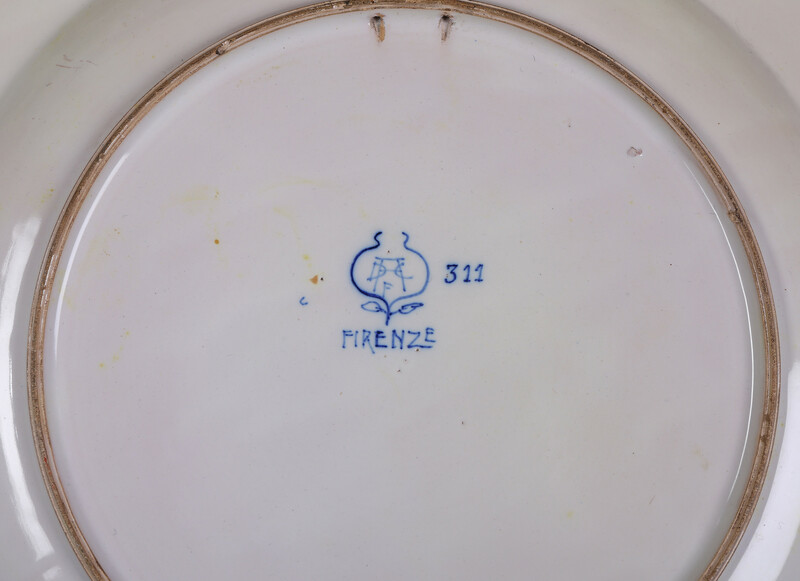 Marked in blue with ADC-F monogram within a pomegranate, above Firenze, ‘c’ and 311 to either side. Decorated around the rim with a procession of boats on breaking waves at full sail against a golden sky encircling a central whirlpool. This dish is one of Chini’s largest and most beautiful creations – a technical tour de force using a wide range of colours and a lustre. The central roundel of the whirlpool has been defined with sgraffiato. 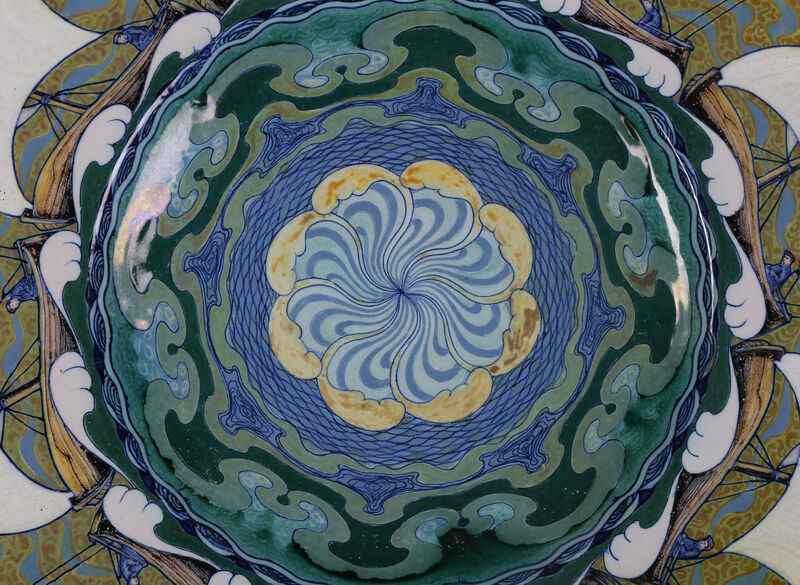 The design is a brilliant and original invention perhaps echoing Iznik designs of the 16th century. 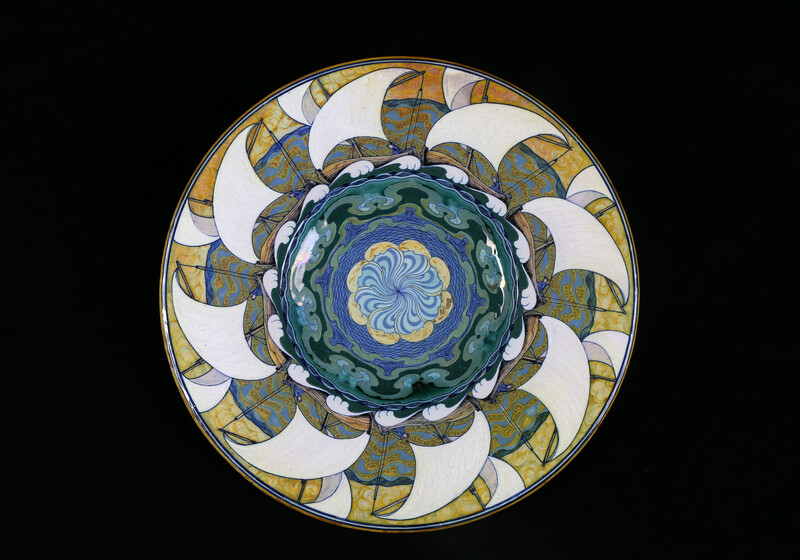 L’Arte della Ceramica was founded in Florence in 1896 as a reaction to the industrialisation of craftsmanship in the spirit of the Arts and Crafts movement. Galileo Chini (1873 – 1956) became artistic director in 1897. 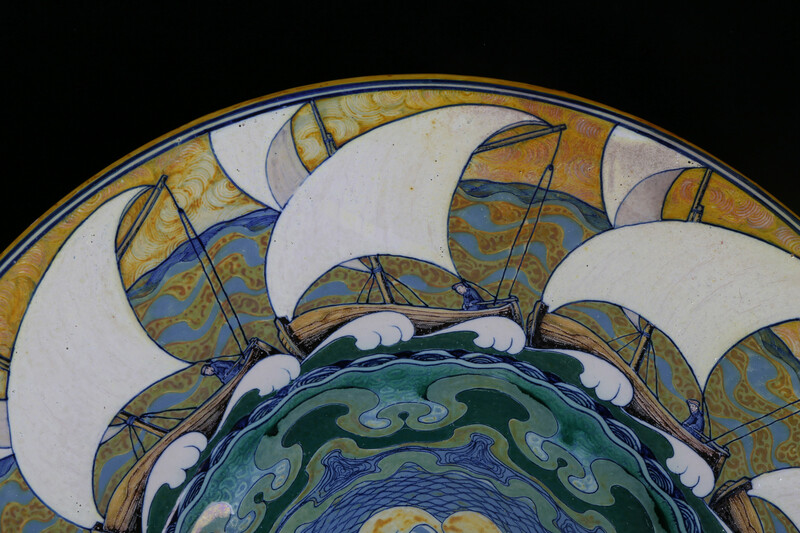 Chini had great success with his ceramics at the International Exhibitions in London (1898), Paris (1900), Brussels, Ghent and St Petersburg (1901), Turin (1902), and St. Louis (1904). He was also a distinguished painter, illustrator and designer, in 1911 he was commissioned to paint frescos for the palace of the King of Siam. He has been credited with introducing Art Nouveau to Italy. 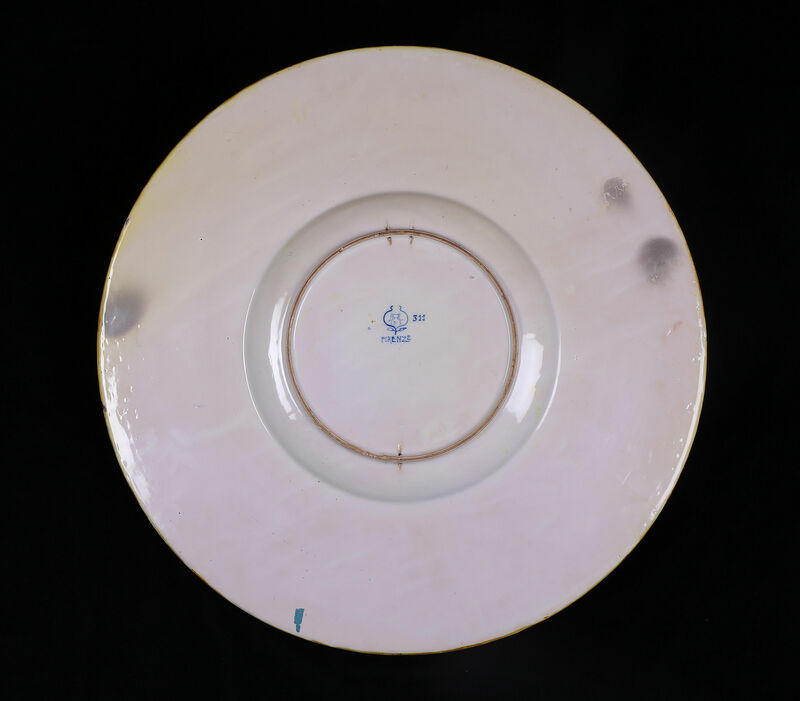 Condition – One small rim chip visible from the front, three small chips to the glaze visible from the reverse. No restoration.